I went there with a few of my friends and we were delighted to sit down for lunch at Develi Kebab Restaurant. We had a nice table by the window. The restaurant located in famous Palestine Street (Filistin Caddesi) in Ankara –Turkey. This restaurant opend at 2016 and the restaurant has some branches in Istanbul and the restaurant is one of the popular restaurant in Turkey. The restaurant’s decoration is very nice, clean, elegant. Inside, the space is extremely welcoming and the guest can see right into the bar. Develi restaurant serving up generous portions of kofte and lahmacun (Turkish pizza) cooked in their restaurant oven and the restaurant takes inspiration from Gaziantep(Antep) traditional rich, flavours, cuisine. They belive fresh is the only way to enjoy food and every meal prepared at the restaurant kitchen is fresh. When we arrived they brought us some pickled vegetables, warm bread. Then we were handed menus. We ordered some cold starters , one of them was cigkofte (typical Turkish raw meat, and you had to take a small bit of the raw meat, add some fresh lemon juice to it and wrap it into a lettuce leaf, not my favorite bit of the meal but I did enjoy it. Then we ordered Gavurdagi Salad( consist of tomatoes and red onions, green fresh pepper, walnuts and other ingredients) , hummus. I loved the salad and hummus, they were very tasty. We did not order a spate main course each and asked the waiter to bring us a big round lahmacun, ( the round shape Turkish pizza,) and we shared them. The lahmacun was thin and crispy , tasty. We ordered Pistashio Kofte ( which really did taste like pistachio, and Develi restaurant is the creator of Pistashio Kofte.) . And then we ordered Katmer dessert which was rolled baklava pastry with pistachio and natural cream. The portions were generous and came with the ice-cream. The Katmer was also very delicious and they served traditional Turkish tea-free of charge. I had an excellent meal at Develi Kebab Restaurant and the servis was very nice and we never waited more than 5 minutes for an appetizer, or 15 minutes for our main dish. If you want to order wine, they had adequate of wine and you can try to taste Local Wine. Also they had Turkish Raki. The service was very friendly and attentive with great stuff , a caring restaurant manager. Finally,The service was very friendly and attentive. Prices are ok, too, considering the quality of the food. We would recommend this restaurant if you want to try the Lokal restaurant and new places for delicious food and a lovely atmosphere. Katmer(Rolled pastry with pistachio, organic cream). Today’s GUEST recipe is Semolina pudding which is moist, tasty and for traditional afternooxn tea treat in my Country. This tasty dessert was made by Zehra Coskun, and we tested this pudding which is absolutely wonderful and my favourite pudding. The pudding is easy and no more takes time.These yummy semolina pudding might sound exotic but you will be able to easily find the ingredients in most supermarkets. Semolina is commonly used in making puddings, dessert and various pastry. Semolina made from wheat and semolina digests slowly making you feel full for a longer duration of time. Semolina is good source of several B,C complex vitamins (thiamine, folate), vitamin E, which help to support your metabolism and in building the immune system of the body. Semolina is rich source in minerals, zinc, iron,phosphorus and magnesium which help strengthen the bones and improves the nervous system. In a small saucepan, Put the sugar, the cherry and sprinkle the corn starch over them.Mix them together and cook until mixture is thick and smooth. Remove the heat and let cool. – Medium dariole moulds or pie pan,rinsed with cold water. 1- In a medium saucepan, mix the sugar, corn starch , semolina ,the gradually stir in the milk. 2- Bring to boil and simmer over the medium heat, until the mixture thick and smooth.Add the vanilla and remove the heat. 3-Pour it into the prepared pan or moulds, cool and leave to set in the fridge. It will takes a couple of hours or leave it overnight. 4- Remove the pudding from the fridge. Place a plate over the top and give the pudding a good shake to turn them out. Spoon the cherry sauce on top it. 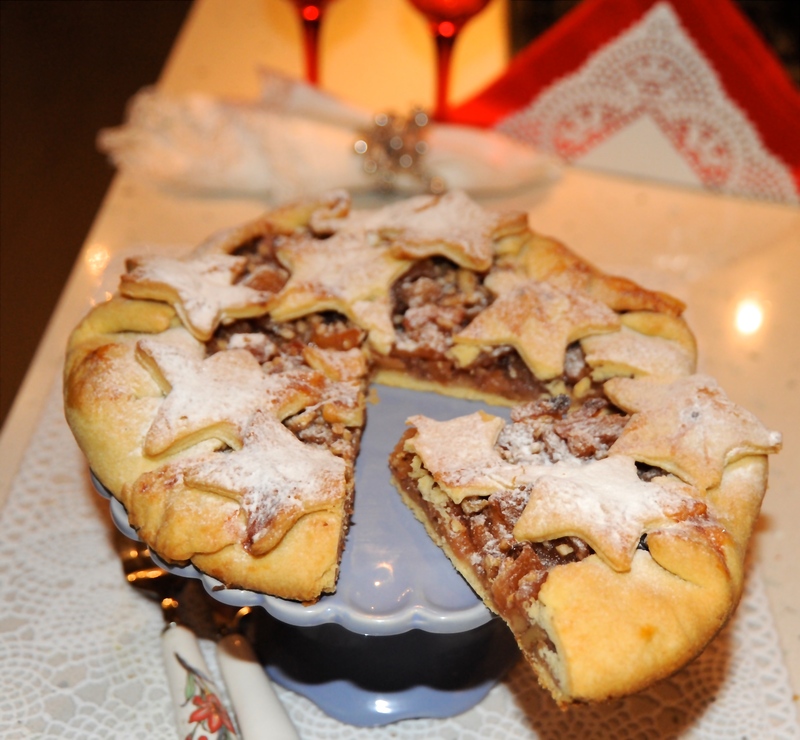 I love this simple apple tart and if you want to make a very quick, delicious dessert, you can try it too. This apple tart is practically effortless and it is easy to make with my easy step by step recipe photos. Enjoy it! Cook time= 15-20 minutes, plus 25-30 min.standing. 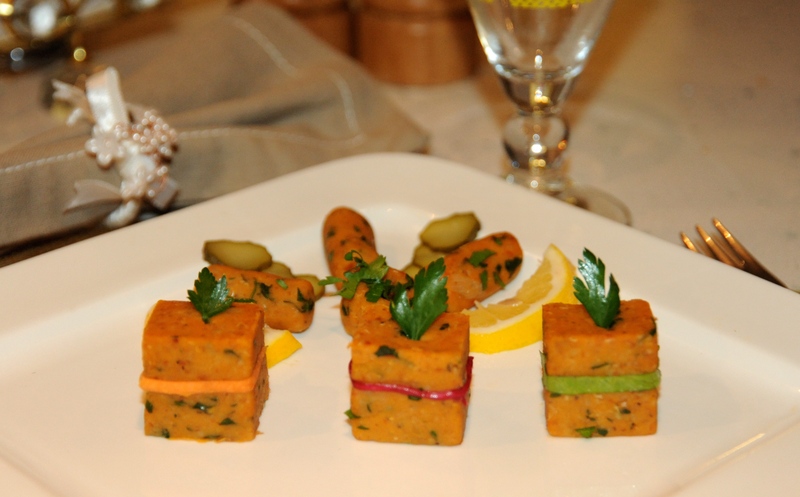 This red lentil kofte is very delicious and one of the most popular snack of Turkish cuisine. Red lentil kofte is a great party snack, appetizer or vegan starter idea. Red lentils have the most distinctive flavor and they are most easily cooked of all lentils. Enjoy it! 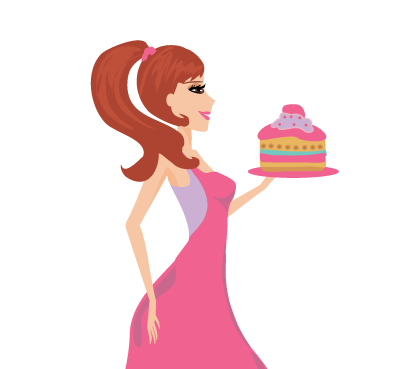 Hello everyone, today I wanted share a delicious dessert recipe. This yummy dessert will be the best friend to your coffee or tea! 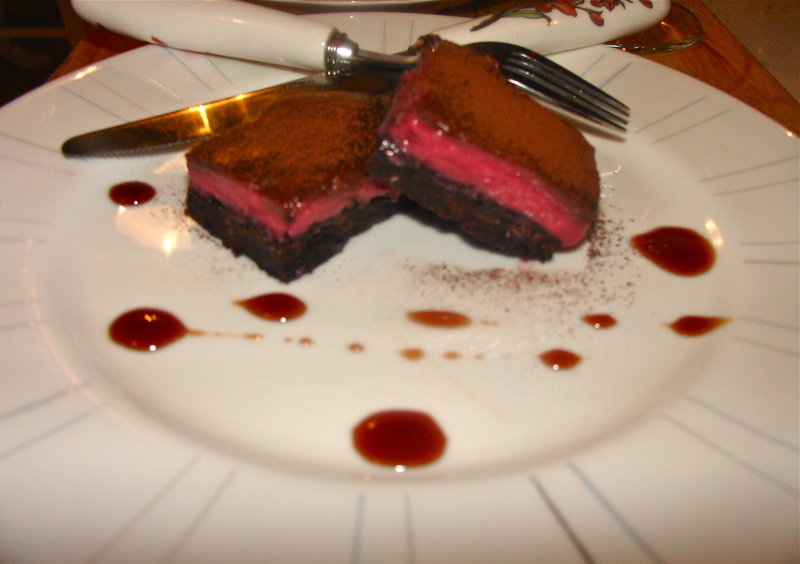 It is the perfect dessert for chocolate lovers. Hope you enjoy! 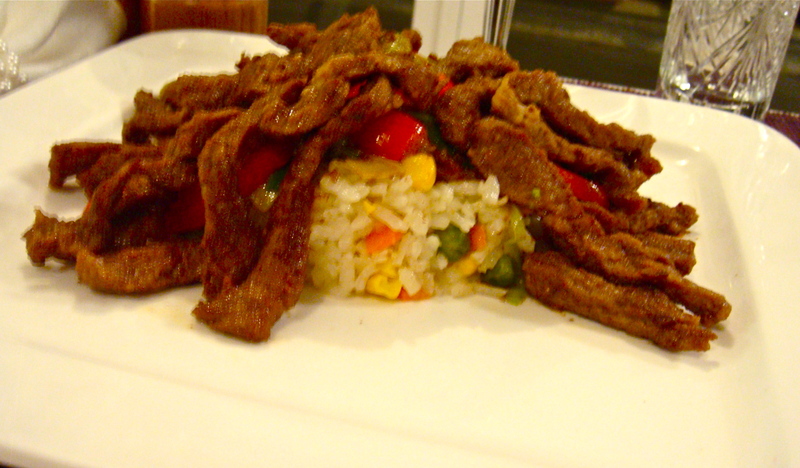 Colorful mongolian beef is very tender and tasty .